School Council has organized a fantastic evening full of important information. 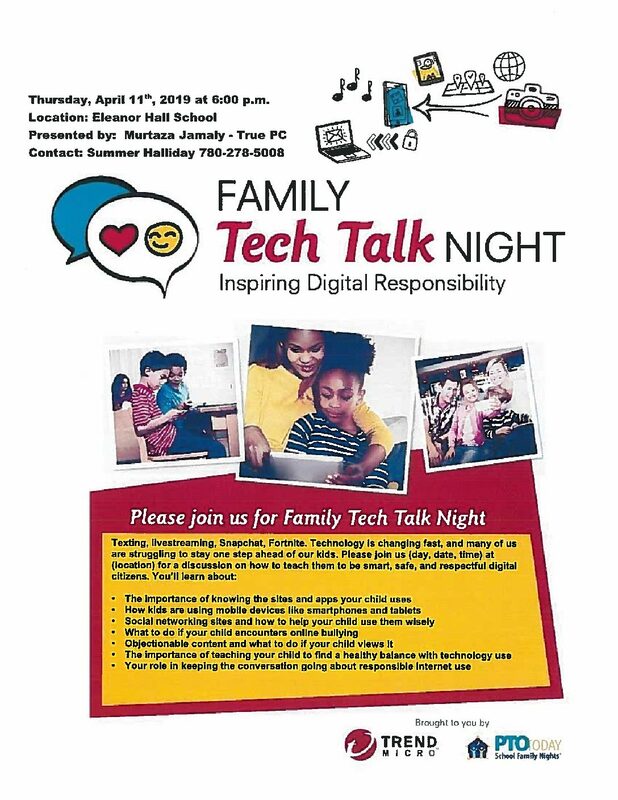 Family Tech Talk Night: Inspiring Digital Responsibility is taking place at 6:00 on Thursday, April 11th. Please attend and bring your friends to an important information meeting regarding technology use, keeping kids safe online and becoming familiar with the online sites and apps commonly used by our kids. Please see the attached notice for more information.